An amazing species from the tropical Amazon basin where it occurs in fertile swampy areas of the forest. 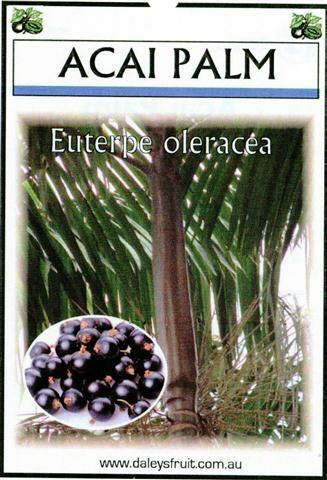 Acai is a very beautiful and product palm; the fruits are used in drinks ice cream, sorbets, smoothies and other tasty delights, famous for having the highest concentration of Antioxidants of any fruit in the world. 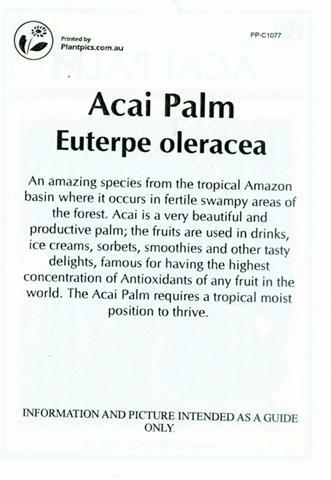 The Acai Palm requires a tropical moist position to thrive.